Promoting HITS and MISSES Joni appears on the Late Show with David Letterman. Joni you are an amazing artist. 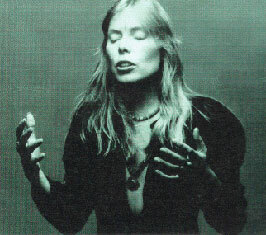 The sound of that guitar signature joni. Your music touches my soul and was the background of my life growing up in L.A. You reference to Laurel Canyon and the feelings of the 70s. Court and Spark is my favorite but i love them all . Especially Blue.